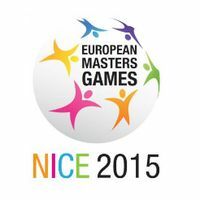 Handball featured heavily during the opening weekend of the 3rd European Masters Games in Nice, France. Three men’s and two women’s tournaments took place on 2-4 October in various age categories and there was an impressive level on show with a number of former international stars participating throughout the weekend. Angyalok Budapest were the dominant force in the two women’s categories, the Hungarian side got the better of Frederiksberg IF in the final of the +33 and +43. Budapest Old Boys impressed in the men’s events, winning the +50 and finishing second behind Kolding IF in the +45. MA Porto were victorious in the +35 event. Detailed results for each of the five categories can be found on the official event website. As well as organisational involvement from the EHF from Executive Committee Member Predrag Boskovic and Doru Simion, there were three representatives in the action on-court. EHF Secretary General Michael Wiederer, Education & Development Senior Manager Helmut Höritsch and Competitions’ Thomas Gangel played for the Vienna Masters team which finished 8th in the +50 category.